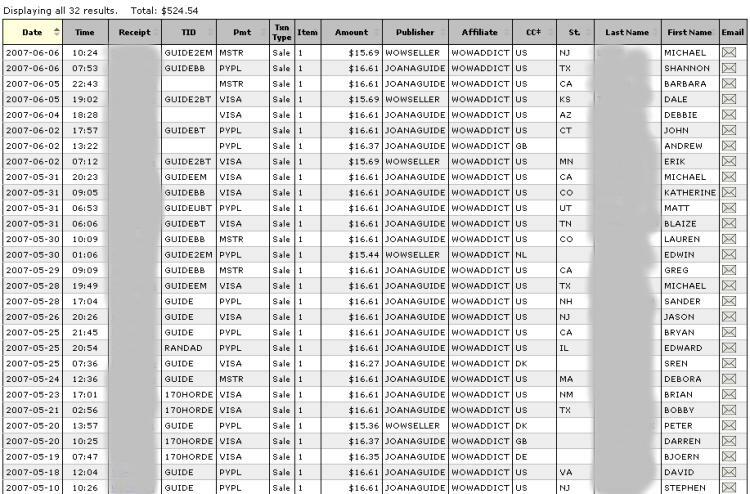 Clickbank Affiliate Program article update March 2014. My affiliate marketing post: Affiliate Marketing, What Next? highlights the current problems with Google rankings and affiliate content, basically Google hates thin affiliate content and quickly removes it from the Google search index! If Google hadn’t removed all my automated (datafeeds = big sites fast) affiliate sites from it’s index I’d probably be making well over £200,000 a year just from affiliate and Google AdSense revenue by now. But it did and so I have to move on. And guess who comes to the rescue? My 15 year old son and the ClickBank Affiliate Program. I’ve looked through many affiliate programs, but never tried ClickBank (at least not in 2006). Think it’s because most Clickbank partners use scam like marketing pages (I hate those with a vengeance), so Clickbank was over looked until now. My eldest son’s was trying his hand at making money online, first it was grand ideas like start a mobile phone shop with me paying for the stock of course (don’t think so son!!!). Eventually I convinced him to start small, look for a niche market you have an interest in and find a suitable affiliate program. This way he doesn’t risk any serious money and if he finds a good market later there’s the options to buy stock or something. Perfect for someone who doesn’t need to make money to eat! So he started a World of Warcraft website with an aim to create the best resource of World of Warcraft Quest Guides online, he could then add AdSense and other advertising/affiliate programs. Update 2014- didn’t quite work out that way, few years later he went to University to study computer programming, stopped playing World of Warcraft and works as a computer software engineer, so I got the WOW site while he now plays Dota2. To cut a long story short he found a quality product through ClickBank a World of Warcraft Ebook about power leveling and wrote a product review. Basically the product was highly relevant to his World of Warcraft site and is very good: we’ve both used it while playing the game (yes I played World of Warcraft) and it did exactly what it’s supposed to do. Now most affiliate programs I’ve tried pay between 4% and 15%. Made most of my affiliate cash through Amazon which starts at 4% and so you have to sell a LOT of products to do really well. For example since starting selling via Amazon’s affiliate program my sites had sold $382,979.30 worth of products (this was up to around 2007) for Amazon.com (also use Amazon.co.uk affiliate program and France, Germany and Canada but only sold a fraction of the above amount with those). From the 20724 products sold that make up the $382,979.30 revenue my share is just $31,193.23 (below 10%) (screenshot below). ClickBank affiliate partners on the other hand regularly pay out 50% and some as high as 75% revenue share! Basically through Clickbank I only have to make a 1/5th of the sales/revenue to match my Amazon affiliate revenue. After realizing this (sometimes I’m a slow learner :-)) I created my own World of Warcraft leveling Ebook Review and expanded to a second related leveling Ebook Review to take full advantage of the market. It’s early days, but we are doing really well considering the lack of SERPs (we have some easy SERPs), my son had his first sale on May 5th, and as of yesterday (June 6th) we’ve made 32 sales totaling $524.54 (screenshot below). This means we’ve sold around $1,200 worth of World of Warcraft Ebooks in a month from a few new pages! 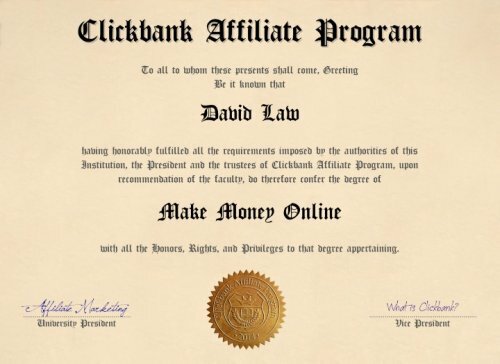 So Clickbank looks like a great way to make affiliate revenue and since our review pages are 95% unique Google shouldn’t ban them 3-6 months from now. Update 2014: We made quite a bit of cash from Clickbank (many thousands of dollars a year), but we both stopped playing World of Warcraft and our level guide reviews became out of date and today they make no Clickbank affiliate sales. You know how it is with making money online from affiliate sources, if you don’t continue to work at something you stop making money from it. I will follow this tips and hope my AdSense earnings will improve in the future. I will report back and tell you what happens to them. Have you used PPC – Pay Per Click Advertising? Talian WordPress Theme Affiliate Program? In the next update which is called Stallion 6 I’m adding a Clickbank affiliate program. I’m wanting to release Stallion 6 this month for testing (all Talian customers get a copy) and then full release if no problems, but still have a lot of stuff to finish (not even made a start on the readme files!). I have a lot of ideas for features I want to add, could really do with another month before release, so won’t get it all coded this time. The new theme sounds great. When i get the theme, i will be building a new site. And i want to use the seo built in this time. After our conversation you convinced me that i can do better by not having an seo plugin. Having an affiliate page with a chance to be an affiliate of yours. Who better than us who bought the Talian theme. I am just now figuring out how to build affiliate sites and need all the help i can get. Especially with seo.Thanks again for all your help.